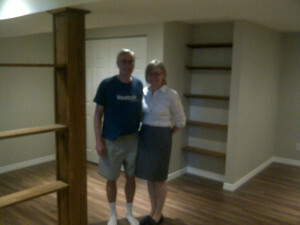 This morning we started renovating Belinda and Ron’s basement in Orleans. We were recommended to the couple by Sylvie and Ed, whose basement we renovated last year. We’re renovating a 520 sq. 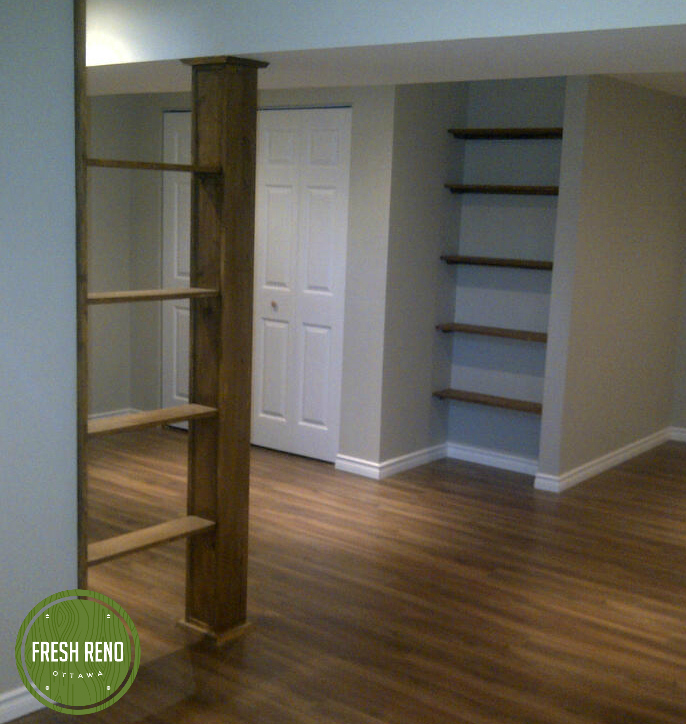 ft. L-shaped section of basement, while the other half is already used for laundry. The renovated section will be used for an entertainment area. hobby desk and workout space. 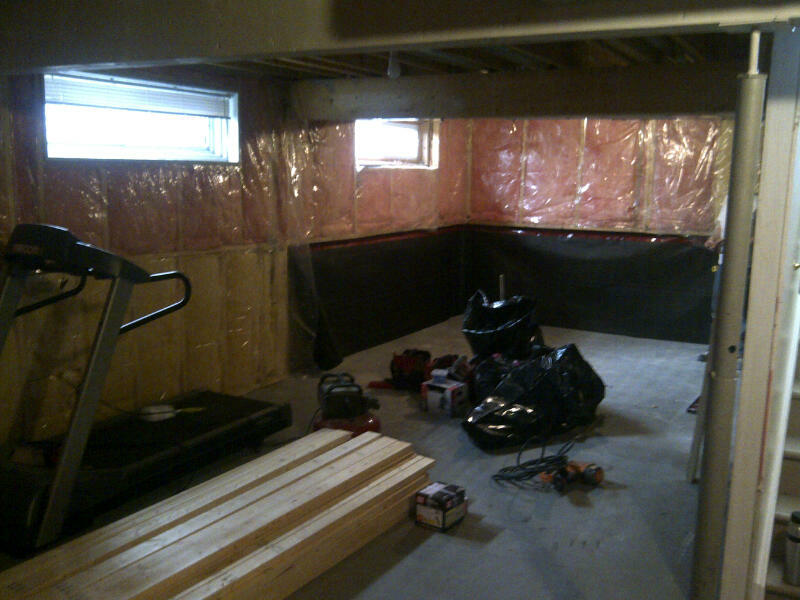 Day 1: First up is demolition, which went so smoothly that we were framing by 1 p.m.
Day 1, 1 p.m.: Demolition done. Bringing in 2x4s for framing. Day 2: We finished framing, then self-levelling compound was spread over uneven floor areas, followed by 156 sheets of Dricore subfloor. The week seems to be flying by – with amazing progress. I like the way the ceiling bulkheads seem to divide the space in three and it is great to see how the room is taking shape. Day 5: Ceiling, all bulkheads and partial wall drywall done. 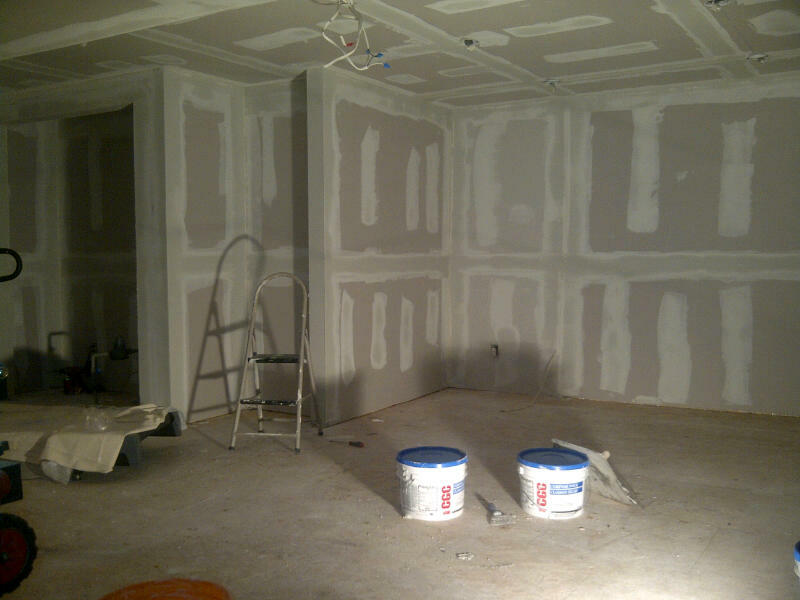 Day 5: Ceiling, all bulkheads and partial-wall drywall done. 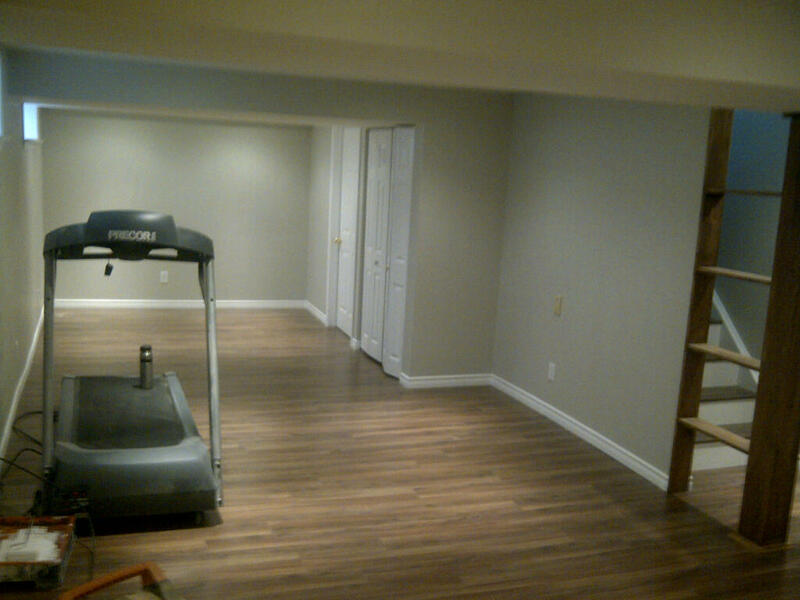 Now we’re leaving the client’s home like you should for the weekend: tidy. 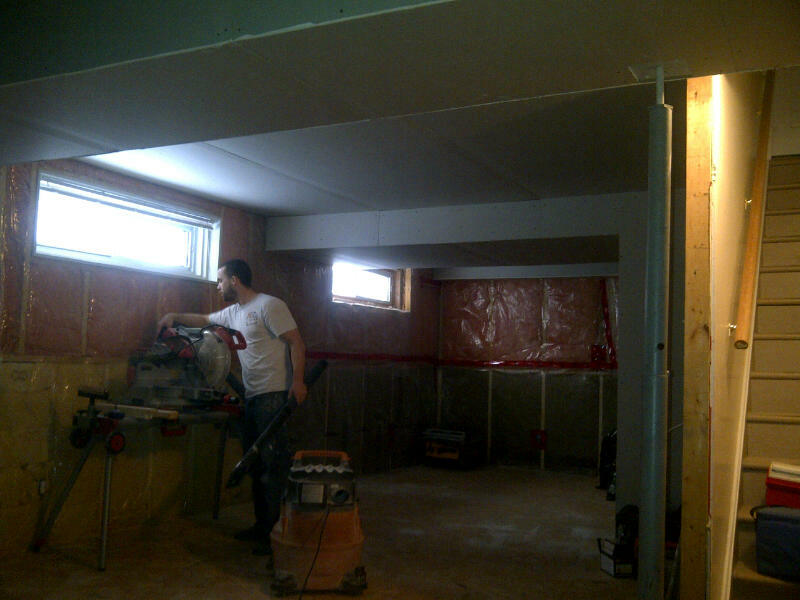 Day 9: Drywalling and mudding done. We are enjoying our new basement! We are slowly setting up the spaces and make many (many) trips up and down the stairs. The stairs are fabulous! I think, at this point, they are my favourite part. We had so many discussions about them and my ‘idea book’ was over-full of photo-options. They really work and are even ‘elegant’. 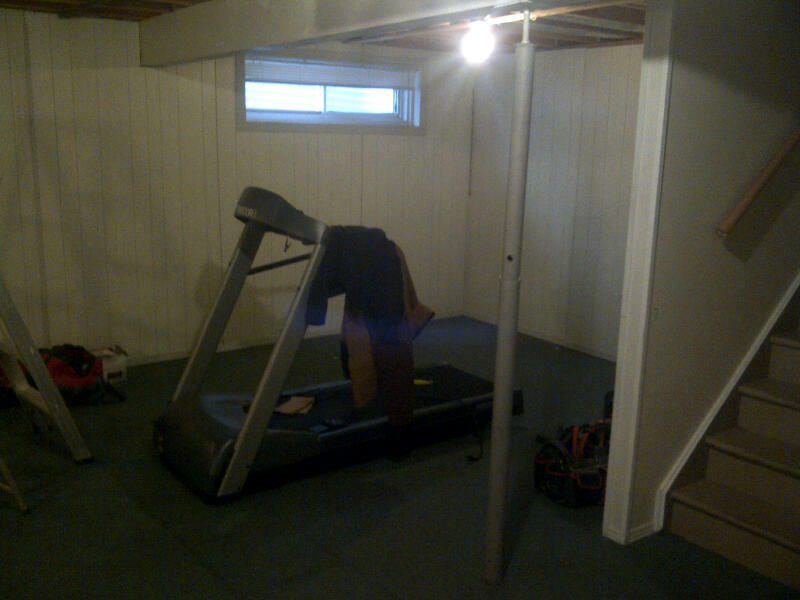 Plus, you equalized the riser height so no one trips at the top any more! Thanks to you and Don, for all the good work and attention to detail. Day 20: Basement renovation complete.